4. GET OR RENEW YOUR GOOGLE PLAY MUSIC MECHANICAL LICENSE. If you distribute music to Google Play Music, you may be earning mechanical royalties that you have not collected. Mechanical royalties are different from your master use royalties (paid to labels, distributors, and aggregators) and performance royalties (paid to performing rights organizations (PROs) such as ASCAP, BMI, SESAC, and GMR in the United States). Mechanical royalties are royalties paid for the distribution of the underlying musical work embodied in a sound recording — that is, the “song.” Mechanical royalties are owed to songwriters and publishers and is not paid to labels, distributors, aggregators, or PROs. To enter into a direct agreement with Google for your Google Play Music mechanical royalties, you can do one of two things: (1) Sign a direct deal with Google Play Music, whereby you will be responsible for data ingestion as well as ongoing account management. Please reach out to indiepublisher@google.com should you like more information about the direct license; or (2) Opt in via the Harry Fox Agency, whereby they will manage your content on your behalf. You can do so by logging into your HFA account at harryfox.com and click the “Authorizaions” link located in the “Licensing” box. If you do not have an HFA Online account, you can fill out a Request for Administrator Account form at https://secure.harryfox.com/public/forms/online-account/form.jsp. You do not need to be a member of HFA to pursue this option. You can easily streamline and expedite the delivery of your song registrations to Harry Fox Agency (and Music Reports Inc., Loudr, ASCAP, BMI, SESAC, SoundExchange, and many others) using the affordable music rights and metadata management platform TuneRegistry. TuneRegistry was built to empower the independent music company and DIY musicians who self-publish. I recently assisted an artist manager with a post-release dispute between his client (DJ/producer) and their guest artists on the track. 1. There are two (2) separate copyrights: the composition (song) and the sound recording (master). 2. There are four (4) types of income participants: songwriter and publisher for songs (we call this “writer’s share” and “publisher’s share”) / artists and record companies for masters. In the event a writer is not signed to a publisher, he/she owns the publisher share of income. 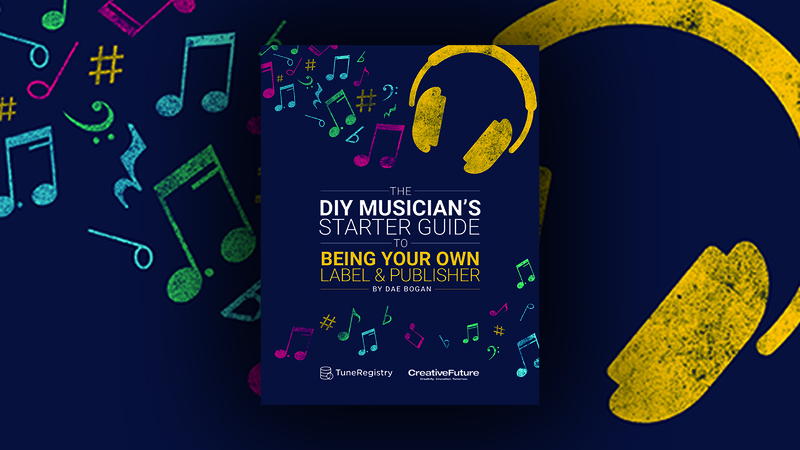 In the event an artist is not signed to a record label, he/she owns what would be the record company share of income (however, if you’re working with a production company, they could own these rights depending on your production agreement). 3. 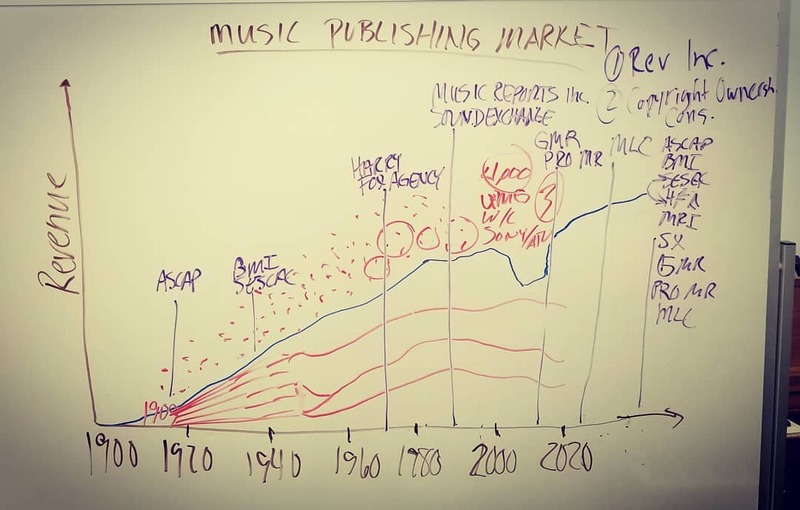 COMPOSITION: Generally, the songwriter and publisher split is 50-50 (this proportion is represented in percentages as 50%/50% (most of the publishing world) and 100%/100% (specific to BMI), but it is the same proportion). American Society of Composers, Authors & Publishers (ASCAP), Broadcast Music, Inc. (BMI), SESAC, and Global Music Rights (GMR) collect and pay out performance royalties to songwriters and publishers. Harry Fox Agency and Music Reports, Inc. collect and pay out mechanical royalties to publishers (if you rep a writer who does not have a publisher, you may be missing out on mechanical royalties in the U.S. and overseas). Synchronization (placing music in film & TV) is a license that is negotiated between content producer and publisher (or you as the manager repping a songwriter). The content producer pays an upfront synch fee and then the performance generates performance royalties on the backend once it is has been distributed/broadcast (unless it’s a movie in U.S. movie theaters or DVDs; in which case you should negotiate a higher upfront synch fee since the U.S. does not have a performance right for music performed in movie theaters). There are more royalties, but that’s a primer. Also Read: Demystifying The Music Industry: What’s The Difference Between ASCAP/BMI/SESAC and SoundExchange? 4. MASTER: Generally, the artist and record company split income based on the terms of a recording contract. The exception is neighbouring rights, hometapping/private copy, and DART royalties. All of these royalties are collected and paid out by agencies directly to the artist and record company. SoundExchange pays out digital performance royalties for non-interactive Internet services (e.g. Pandora), satellite (e.g. SiriusXM), cable (e,g. Music Choice), and over 2,500 other webcasters (e.g. iHeart Radio and Slacker). SoundExchange is our only version of “neighbouring rights” in the U.S. SoundExchange pays 45% to the artist, 50% to the record company, and 5% to background vocalists and session musicians via AFM & SAG-AFTRA Intellectual Property Rights Distribution Fund. Digital services pay master streaming royalties directly to your distributor/aggregator. There is a fund for hometapping/private copy and DART royalties paid out by Alliance of Artists and Recording Companies to artists (50%) and record companies (50%) because, among other reasons, in some countries (like Japan and Netherlands), music is rented much in the way we rent DVDs. Overseas, masters also earn neighbouring rights royalties (performance of masters on radio, TV, movies, etc.). The only way to capture these royalties is to sign up with a neighboring rights agency like Kobalt Music or Symphonic Distribution. Now that you have a premier, what you need to make sure to do for EVERY song released is to spell out in the contract the COMPOSITION/SONG SPLITS and the MASTER OWNERSHIP SPLITS. If you do a split sheet with guest artists on a song, you’re only covering the composition, unless you have some addendum agreement attached that says the splits will also be applied to the master sound recording. Otherwise, you can have two different sets of splits; one set of splits for the composition (the songwriters and publishers) and a second set of splits for the master (the featured performers and the record company/master owner(s)). SCENARIO 1: EDM DJ/producer produces a track and invites a guest artist to lay down vocals. If producer composed the track and artist wrote the lyrics, then they’ll all have a percentage on the COMPOSITION/SONG split sheet. If producer wrote all of the lyrics, then he/she will own 100% of the COMPOSITION/SONG. Now, the master recording has a different split. The guest artist is effectively the featured performer on the MASTER, so he/she would be allocated the 45% featured artist share of SoundExchange royalties and the 50% artist share of AARC royalties. The copyright owner in the master (label or individual) would receive the 50% copyright owner share of SoundExchange royalties and 50% record company share of AARC royalties. In order for the producer to receive a piece of the SoundExchange royalties, you’d need to include the allocation in your agreement and have the ARTIST sign a Letter of Direction, which you’ll submit to SoundExchange (join the Creative Affiliate Program to expedite this). This LOD will split the “featured performer share” between the Artist and Producer. (Note: These splits have nothing to do with sales and master streaming royalties). SCENARIO 2: A five member band put out a new song. Only two members wrote the song, but all five members performed on the recording. The two writers would split the COMPOSITION/SONG ownership, and each of the five members will receive a share of the featured artist share of SoundExchange royalties. Master sales/streaming royalties will have a different split. Each of these buckets receive their OWN income streams, and most music rights organizations and royalty collection agencies will pay one or two of these buckets DIRECTLY based on the splits that you provide when you register the songs/tracks to the entities. This is why it is imperative to #1 have these splits spelled out and agreed upon on paper prior to release and #2 register the songs/tracks with ALL entities BEFORE release. Obviously, TuneRegistry is the only product on the market designed to help you with this at an indie artist price point. Here’s a good lesson on treading the water when your promising artist experiences ups and downs across their career. Being self-motivated as a manager is imperative, especially in the early years when it’s virtually all work and little reward. But having a since of mutual motivation with your artist is also important. You’re here to guide and build their careers, but like the saying goes “help me help you” is definitely a motto that I lived by as a manager. It’s refreshing to hear that notion echoed in this piece.